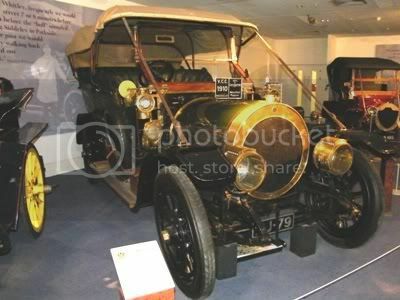 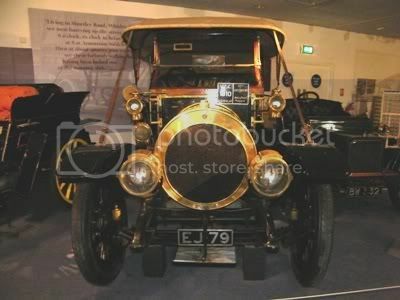 Maudslay were a manufacturer of large, expensive motor cars in the Edwardian era, and this 1910 built 32hp Tourer is a perfect example of the cars they were producing. 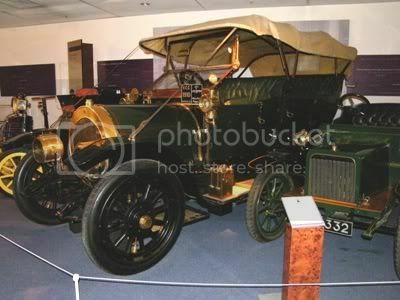 The Maudslay radiator style is very distinctive, in a time when the radiator style was the most distinguishing feature between various car manufacturers. 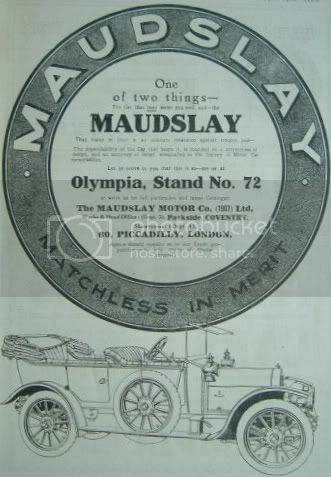 Maudslay had their own special type of engine - the 'Maudslay Patent Overhead Hinged Camshaft and Valve Gear', meaning that the top part of the engine hinges back to give easy access to the engine parts can be repaired or replaced easily, without taking the whole engine out or disassembling the car.